According to The Hollywood Reporter, YouTube is currently in the process of producing a LGBTQ documentary titled State of Pride with filmmakers Rob Epstein and Jeffrey Friedman set to direct and executive produce. The streaming service plans to release the film in 2019. “We are built to tell stories that speak to a new audience. With State of Pride, we have the opportunity to work with two extraordinarily accomplished filmmakers to capture this one-of-a-kind celebration in a way that’s uniquely suited to the YouTube generation.” Portal A co-founder Nate Hougtelling said. 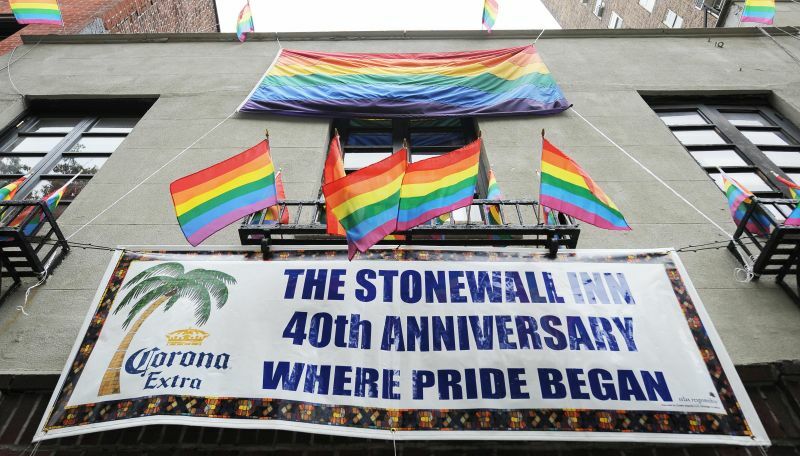 State Of Pride will give the audience an in-depth and undaunted look at the significance of Pride 50 years after the historic Stonewall Riot. The docu will be told through a series of interview conducted by activist Raymond Braun, who will travel between major cities and rural towns across America, experiencing Pride and learning from individuals for whom the event marks a pivotal moment in their personal journey. State of Pride is being produce by Digital studio Portal A along with Nate Houghteling, Kai Hasson, Portal A’s Zach Blume and Braun will serve as the documentary’s executive producers. Epstein and Friedman have previous experiences with working on LGBT documentaries with projects like The Times of Harvey Milk and Common Threads: Stories From the Quilt which was about AIDS that was narrated by actor Dustin Hoffman. The post State of Pride: YouTube to Produce LGBTQ Documentary appeared first on ComingSoon.net.